Eddie Jackson – I feel like it is pretty easy to give a game ball to a defensive player who scores twice. Two touchdowns for the rookie safety out of Alabama, as he led all players in the game in scoring. Those Alabama safeties are pretty good huh? Jackson has been a nice addition for the Bear defense that has needed help since (it seems like) Mike Brown left the Bears. Jackson has been a key addition to a defense that needed help in a secondary that has been very inconsistent for a long time. Vic Fangio – If you told me Carolina would score 3 points against the Bears I would have said no way. Fangio and staff created and used game plan that looked like the Broncos used in the Super Bowl 50, getting after Cam Newton early and often. Sure the players made the plays, but the man can flat out coach and call a defense. Fangio has been nothing but excellent with the Bears defense since taking over as the coordinator under Fox. The Bear offense only accounted for 4 first downs Sunday. It’s a huge benefit when you have a defense that can get after the quarterback and generate pressure without having to bring pressure packages and get the ball back to the offense. The Bears have been able to do that lately. If the Bears had any type of offense the past couple of years, we would have had a couple more wins. But isn’t that always the case for the Bears every year it seems like? Last week was a wild week for the Bears. Regardless of how (non-existent) the Bears offense was, the Bears won the game 17 – 3. It seemed like Carolina had the ball the entire game. This was one of those game where you look at the box score and you say how the heck did the Panthers not win this game? Football is a game of touchdowns and turnovers. The Panthers turned the ball over and the Bears scored twice, on those turnovers. Eddie Jackson was the man who came up twice with two long returns for the Bears defense. I touched on it last week, this Bear defense looks for real. They have a big test coming up on the road, matched up against another highly potent offense in the Saints. The Saints seem to have things clicking after some early season struggles. This Bears team that is looking to hit a stride of its own now, having won 2 games in a row, in what seems like forever. Don’t call it a win streak! (You need three according to Major League II). To think the Bears have a chance to head into the bye week at 4-4, .500, would be nothing but amazing. This Bear team, who looked abysmal in Tampa Bay and Green Bay, has a shot to place themselves in playoff contention with a win this week. It is not going to be an easy task at all. New Orleans is a very raucous stadium, especially when the Saints are “marching.” The Saints have their offense clicking on all cylinders right now. After sending Adrian Peterson to Arizona, Mark Ingram and Alvin Kamara have made their presence felt in the New Orleans offensive backfield. Ingram and Kamara have been exactly what this Saints offense needed, a jump start. After starting 0-2 on the season, the Saints have won four straight games. You could argue that New Orleans is one of the hottest teams in the NFL right now. And behind the Eagles, they may be the second hottest team in the NFC. This is going to be some matchup for the Bears, who in the books of Vegas, are big dogs on the road early on – and trending downward even more. I am excited to finally be content with the Bears winning games, and not getting higher draft picks. My one problem I have with the Bears is with the QB: Trubisky. I am stuck here asking the question: How much has he proven to us to actually be the quarterback we want him to be or think he can be? Sure, Trubisky is 2-1 as the Bears starter. But during those two wins, he has only completed 12 passes. He has 3 passing touchdowns in three games and one interception (another fumble lost on a strip sack). He has yet to amass 200 yards passing. I get he has no weapons around him besides his two running backs and his (at best) average tight ends. But we have not really seen Mitchell unloaded fully. I am a huge Zach Miller fan, but Miller is not enough for Trubisky to succeed. I would like to see Cohen and Howard involved more together on the field. I want Loggains to be a little more creative, like he was on the 70 yard bomb to Cohen. Stretch defenses out and let us see what we have with Trubisky. I do not think the acquisition of Dontrelle Inman will play into effect this week right away, but it’s nice to see they are trying to help Mitch out. The one thing Trubisky hasn’t done the last two weeks is lose us the game. Which is an improvement from Cutler/Glennon/Grossman/and every other Bear QB of recent memory it seems like. I’m ready for the Bears to unleash him and show us what we really got. Mark Ingram has found new life with Adrian Peterson gone. Alvin Kamara has been a huge spark for the Saints. It seems as if the Adrian Peterson sign and then trade not only motivated Ingram but has pushed Ingram to become a huge run threat for this Saints offense. The product out of the University of Tennessee, Kamara, has been a huge change of pace change for the Saints – and something they needed. He can run and catch the ball on any down. I expect a heavy dosage of this 1-2 punch early and often. Drew Brees is still Drew Brees, and he is still damn good. The man can flat out sling the ball. Watching him play against the Bears is going to be so hard because you want to root for the guy, but you want him to lose. You know he is going to get his yards. You know he is going to complete a lot of passes. The Bears have to limit the big plays and the quick scores. Just when you think Brees is old and is done, he proves he can still do it. The Saints defense has been a nice surprise this year. Dennis Allen, former head coach of the Raiders, has done a nice job with the Saints defense. One thing the Saints defense has done a lot of is get the ball back to their offense – 8 interceptions, +5 turnover margin, and 17 sacks this season. They are doing much better this year than in recent years of past. With a decent defense to compliment a potent offense, the Saints can really make some noise if they stay healthy. This Bear defense has finally shown what it is capable of. It has finally done something it hasn’t in the past few games – turn the ball over. The Bears had two turnovers deep in their territory, which is both scary and good. Scary because Carolina moved the ball. It was good because Carolina didn’t score. The Bears need to generate more take-a-ways on a consistent basis. Easier said than done. The Bears offense will need to stay on the field and generate first downs and control the clock. I am not saying they need to win the game with their offense, but they can’t afford to lose it with their offense. The Bears need to play “Foxy Ball” – generate first downs, win the field position battle, and play defense. If Brees and Company are on the field more than needed the Bears defense will eventually break. The Bears must win the special team battle. This is an area the Bears have struggled with. Pat O’Donnell has had a nice resurgence for the Bears. They need to score when they get opportunities – hit their field goals. When they get in the Red Zone (which hopefully is early and often) they need touchdowns, not field goals. Against a team like New Orleans, you need as many points as possible. No fourth and goal from the 1 yard line field goals. The Bears have looked better as of late. But I do not believe this is the time, yet, that they turn the corner. Though, I am not completely ruling out an upset. 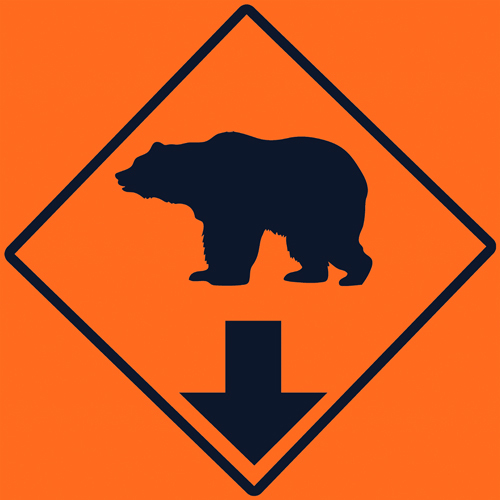 I believe the Bears offensive struggles have been hidden through a defensive resurgence. I believe the offense will eventually get better and Trubisky will improve, but right now there is just a limited amount of weapons. The Bears will have to limit the mistakes – turnovers and penalties. Furthermore, they are going to have to limit the short field scoring opportunities. If the Bears limit the scoring early, they will stick around for a good ballgame. I hope we’re heading into the bye 4-4 with a lot of steam, but I do not feel the time is yet. Something feels off. I hope I am wrong.